If you think a bride looks amazing on her wedding day just because of her outfit, then you are totally wrong. There are various elements which conjoining makes the bride beautiful like ever before such as the outfit, makeup, jewellery, bridal accessories etc. 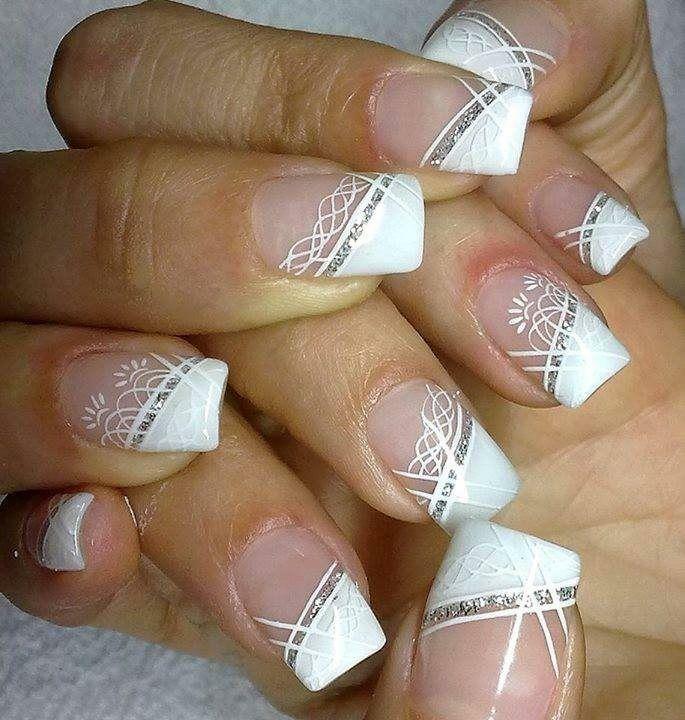 Nowadays there’s new fashion which is trending between the brides and that is nail art. Nail art is basically the creative way to paint, embellish and enhance the nails after the process of manicures or pedicures. This little thing just adds on the beauty of the bridal overall look, just like a cherry on the cake. Here are some of the latest nail art ideas which every bride can look up to. If you are in love with glitters and their shine then you must highlight your love for glitters on your wedding day too, with your shimmery nail art. If you want to amaze everyone with your fully covered shimmery nail art then just go for it. If you love deeper tones and want to highlight it on your special big day then try out a Marsala nail art with a little bit of glittery touch for making it more glamorous. 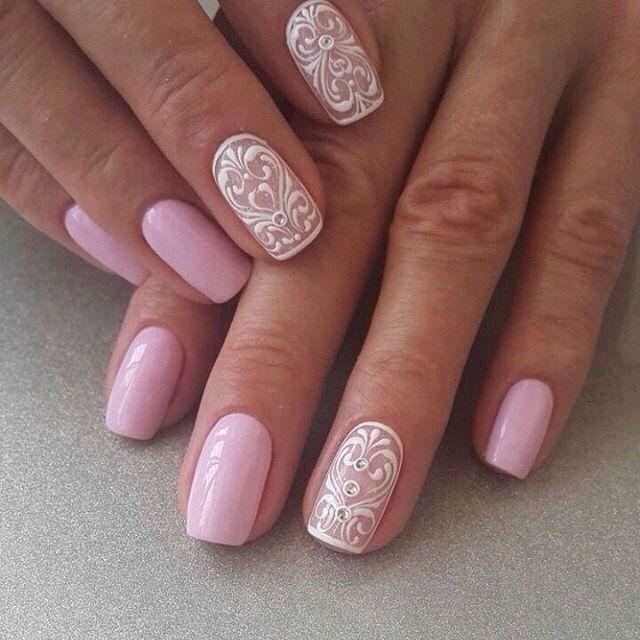 Instead of Normal French nail art you will absolutely love to go for a nail art like this on your wedding day. 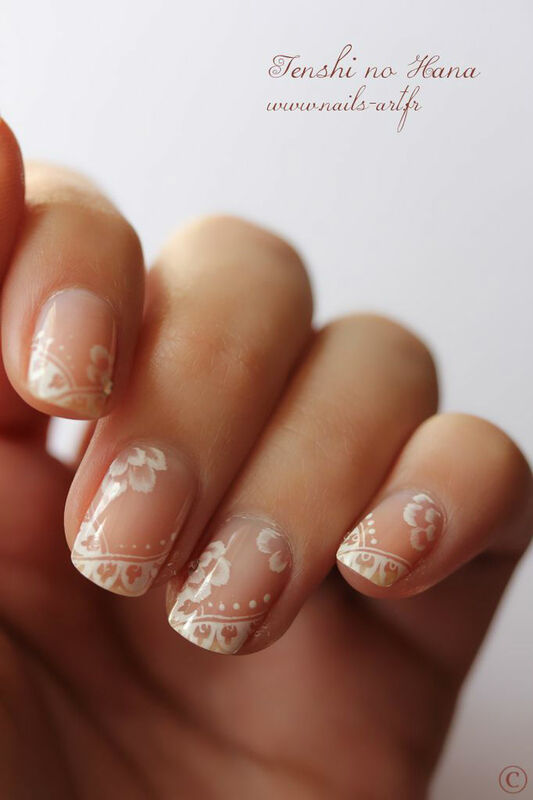 If you want to stand out in your wedding day then just opt to this nail art. 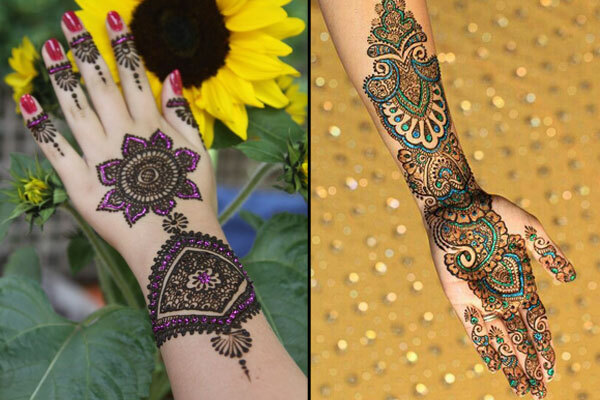 If you are in love with the complex designs of mehndi then just incorporate the design not only on your hands but also in your nail art. Try earthy tone nail paints with complex mehendi design on it with highlight colours such as gold or bronze or any metallic shade of your choice. French glitter manicure is basically a concept of French nail art where glitters are highlighted. So, if you like the glitters and their shimmery shine then you must go for this nail art. If you are into red colours as well as hearts and roses then this nail art would be a best choice for you. 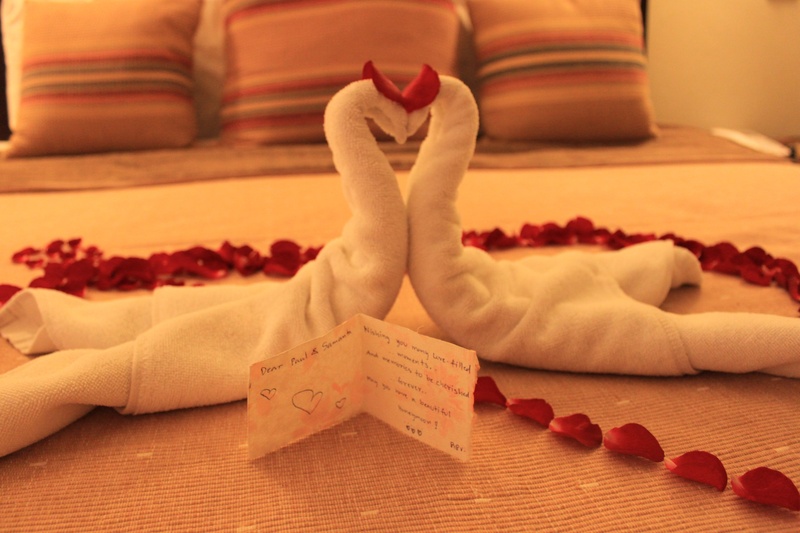 Go for the red shades of your choice and highlight it with hearts. 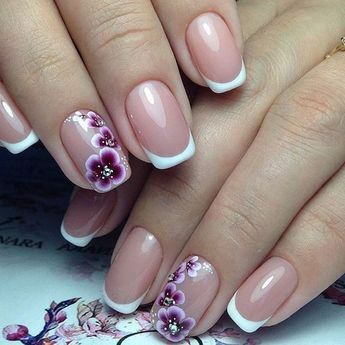 If you want to highlight your nails with your favourite flower designs then go for the floral nail art where your nails will add a glamorous touch to your wedding look. 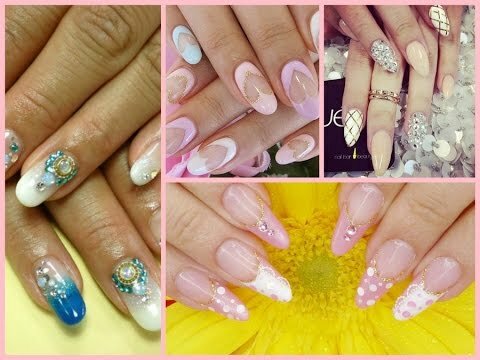 It you want to go simple as well as elegant at the same time then go for the French tip nail art where you can incorporate any of your favourite element such as glitter, floral design, pearls or rhinestones, etc. 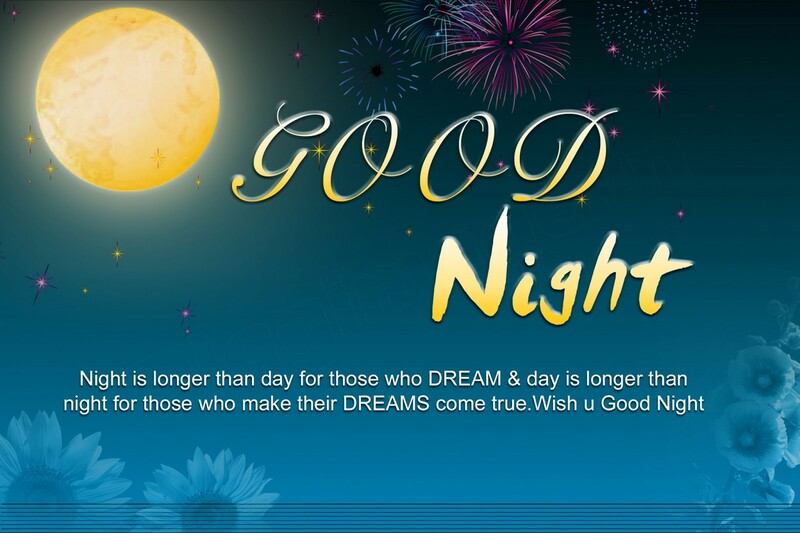 any of your choice. The combination of white and gold is always fabulous as well as royal. If you want a rich look on your big day then opt this nail art and get some spiked gold stones on your ring finger nail in order to highlight it and your nails would look amazing.